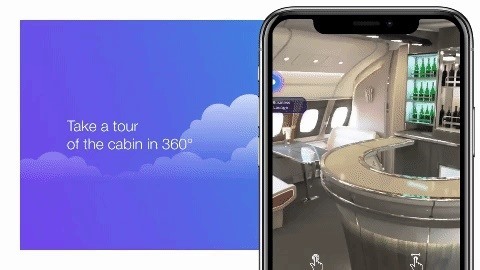 In addition to booking flights on an Airbus A380, discovering new destinations, and managing boarding passes like most apps from airlines, while in-flight, the free app employs AR to inform its passengers by identifying points of interest appearing outside of the A380's windows. 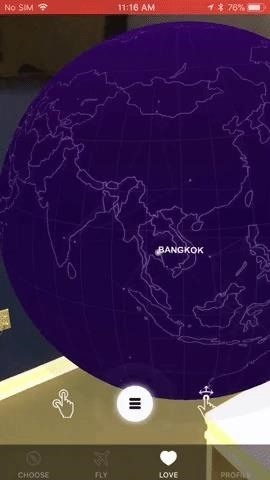 The app also offers a virtual reality walk-through of the cabin and cockpit. "The iflyA380 app is a new step for Airbus towards offering digital services that directly benefit consumers and allow them to design their own experiences," said Marc Fontaine, Airbus digital transformation officer, in a statement. 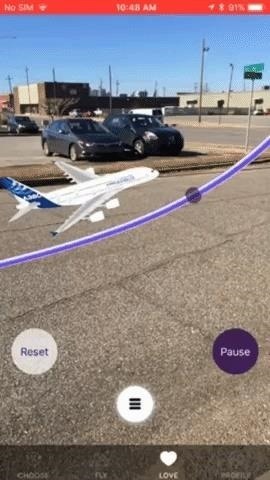 Within one app, Airbus manages to leverage the two top use cases for augmented reality in marketing: it informs customers on products and services and engages them with fun features. Aside from a lot of the gimmicks we've seen companies employ with AR marketing, this app is a refreshingly practical standout among the pack.